Former WWE champion Daniel Bryan may currently be an authority figure on SmackDown Live, but the odds of his return to the wrestling ring continue to increase. 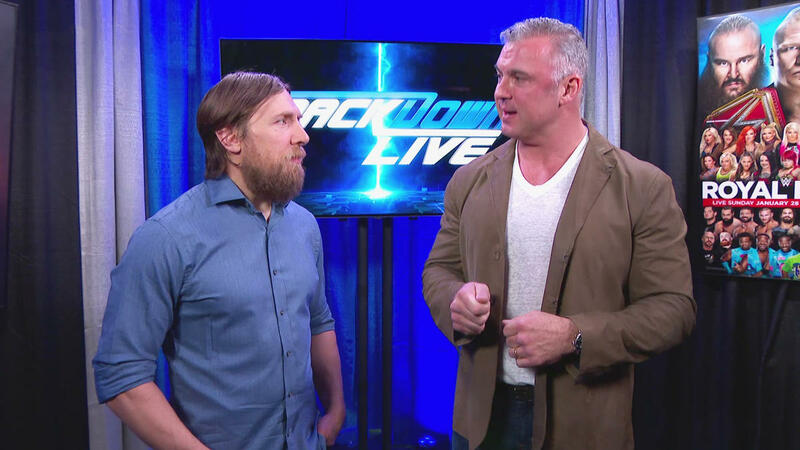 Bryan is currently working as the SmackDown Live general manager opposite Commissioner Shane McMahon. However, the two have been at odds themselves when it comes to handling things with Kevin Owens and Sami Zayn. The continued tension seems to be leading toward fans and bettors backing the idea that Bryan will wrestle again, and it’s believed that match will happen in WWE rather than another organization. In a report on Sunday via the WWE Leaks website, they indicate that Kambi oddsmakers have now cut Daniel Bryan’s odds from 3 to 5 down to 1 to 2. That’s a move from -166.67 to -200, meaning now bettors need to put up $200 if they want to win $100 on a bet that Bryan returns to wrestle in the WWE ring. It’s the top choice on the listing of potential organizations that Bryan might work in a wrestling match for, with New Japan Pro Wrestling (NJPW) at even odds and Ring of Honor at 5 to 2 odds. At the very bottom of the listing is the option for “No match until after WrestleMania 35,” which would mean Bryan doesn’t wrestle in any matches until sometime after April of 2019. Other options on the Kambi betting odds include Bryan working for Impact/TNA/GFW, which is third-to-last on the list at 40 to 1 chances of it happening. Lucha Underground is a 20 to 1 odds, while NWA is at 15 to 1 right now. “Any unlisted promotion” is second-to-last at 6 to 4 odds that Bryan works at a random wrestling promotion that isn’t listed on the betting odds. It’s also mentioned there are odds on when Bryan’s return to work in a wrestling match will happen. As of this report, the choice “Falls between September 28th, 2019 but before WrestleMania 35” is at 7 to 20 odds, while “Before/During WrestleMania 34” is at even odds to happen. The idea that Bryan could eventually return has bettors at least taking their chances on the possibilities. However, Bryan still needs to be officially cleared by Dr. Joseph Maroon to get into a WWE ring. Bryan’s WWE contract is also set to expire within the next year, so there’s plenty of options for everyone to weigh. Should Bryan to return to a wrestling ring, one would think WWE wants to be first in line to make that happen.